TATE BYWATER Law Firm is your Fairfax County legal team of choice due to our wealth of experience and expertise along with our dedication for providing positive outcomes for our clients. 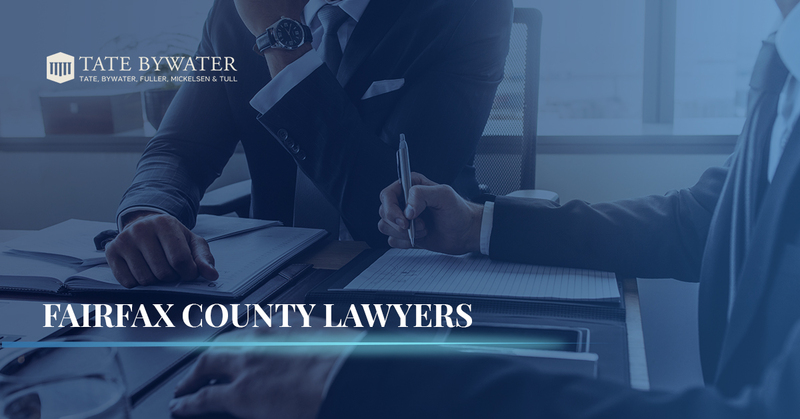 Founded in 1972 by Douglas Bywater and James Tate, TATE BYWATER has become one of the top team of attorneys in all of Fairfax County. From our humble beginnings of a small, solitary office in Vienna, Virginia, we’ve seen a good deal of change over the years, as we now have become a multi-office, full-service law firm which serves the entire Washington metropolitan area. Though we’ve progressed as a law firm by a significant margin, we pride ourselves on the fact that we haven’t lost sight of what made us a team of high-quality Fairfax County lawyers in the first place — dedication to our clients. Whether you hail from Fairfax, Lorton, Springfield, Annandale, Falls Church, Tyson, Reston, Centreville, Chantilly, Alexandria, or D.C. proper, we are a team of Fairfax County attorneys who is ready to help you combat whatever difficulty life may be presenting you with. We have experienced lawyers on staff with a comprehensive range of specialties so that you can receive expert legal service while not having to break the proverbial piggy bank to do so. On top of our comprehensive range of legal services, we have also been recognized as Peer Review Rated by Martindale Hubbell® and all five partners are recognized as AV® Preeminent™ by Martindale-Hubbell®. We are proud of this accomplishment as it speaks to the esteem in which we are held — not only by our clients, but by our peers as well. We’ve also had attorneys on staff who have been recognized by The National Trial Lawyers Top 100 Trial Lawyers and Super Lawyers. We share this with you not to sing our own praises, but to let our prospective clients know that choosing TATE BYWATER as your legal representation means you will be receiving legal services of the highest order. With offices in Vienna, VA, and Saint Leonard, MD, we are conveniently located for many folks living in Fairfax County and beyond. But no matter where you call home, we are willing to assist in courts throughout Virginia, Maryland, and the District of Columbia. Schedule your free consultation today.